The Senior Management Team is responsible for the delivery of the day to day operations , the quality of services, the administration and keeping the organisations finances in budget. The SMT lead by Peter Warlow comprises of Sue Attwood (Adults and Services Manager), Vanessa Dewsbury, (Childrens Service Manager), Kirstie Jackson (Finance Manager) Bev Jakubas (Quality and Care Manager) and Ann Folkes (Admin and HR Manager). The responsibility for the governance of Glebe House is entrusted to our Board of Trustees. The Board has a Chair, an Honorary Treasurer and a team of trustees who can contribute their personal skills and experience to the team. The Board of Trustees has the overall responsibility for the strategic direction of the charity, the financial integrity and to ensure that the charitable objectives are met. The current board has six directors including a Chair and Treasurer and they bring a range of different life and management skills to the organisation, including some being parents of people with learning disabilities. The newly elected Chairman of Glebe House, Bryan Higgins, shares his thoughts and visions for Glebe House over the next few years. Bryan’s day job is a healthcare director working for a national accountancy firm for over past 16 years and he has over 25 years adult and children social care experience behind him. Bryan says: ‘Glebe House is in a good position. The recently filed accounts to March 2016, shows income of £1.1m and liquid reserves of £450,000. These are the highest levels of income and reserves ever recorded in the 25 years Glebe House has provided social care services in Loughborough. Couple this to a loyal and trusted workforce, good regulatory compliance, strong governance and recent admission onto a four year Local Authority Framework for adults and this explains why the trustees, Chief Executive and staff are justifiably proud of these achievements. So this is a very sound platform for a new Chairman to start from. Our services for children and adults are diverse having developed in response to local demand. The vast majority of our income is from Leicestershire County Council funding either directly or indirectly and my priority task over the next few years is to ensure the inevitable funding squeeze is responded to proactively to mitigate any impact on jobs and services. 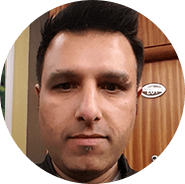 Naveed has joined us recently joined us as Treasurer. He is currently a Financial Controller at Envisage Group Ltd and also runs AbbiHire. 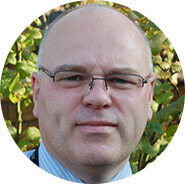 He previously worked for the charity Apex as the Financial Controller and part of his role in the SMT. He has a huge amount of relevant experience in charitable financial management. 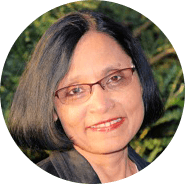 Geetha is currently working as an Organisation and Personal Development Consultant, with many organisations in the UK and abroad involves a lot of travelling. She was given the opportunity to be the Chair of a social enterprise health centre in the London Borough of Newham, which she has enjoyed for 4 years and about to step down to be a non-executive director. That role as well as a book that she read with great interest and insight, titled “Neurotribes: The legacy of Autism and how to think smarter about people who think differently.” inspired her to search for trustee opportunities closer to home to give something back to the community she is part of. As a trustee, her role is to work collectively with others on the Council of Management to continue to build on the excellent reputation created by the staff of Glebe House. Joined the Board in 2014. 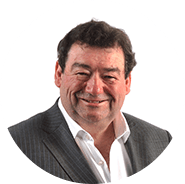 He is retired now but has a huge amount of experience as a management consultant and has worked in senior positions in large organisations. A keen golfer and director of amateur dramatics in his spare time, David has recently joined the Finance and General Purposes sub group. Marie is now the longest serving Board member having joined the board over 10 years ago. Working for the local council in social services and having a son with learning disabilities , Marie has a vast amount of relevant personal experience to contribute to the Board.